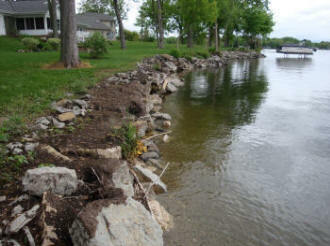 With the increase of watercraft traffic as well as water fluctuations, more landowners are experiencing severe erosion. 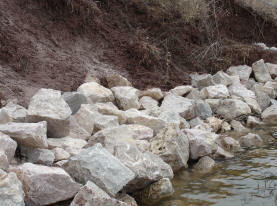 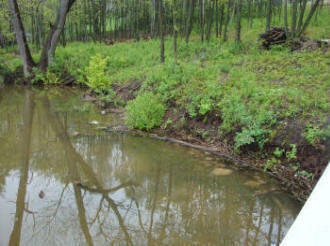 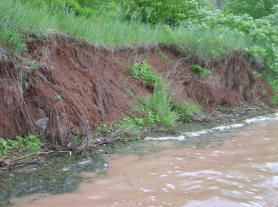 Riprap is an economical way to help prevent this type of erosion. 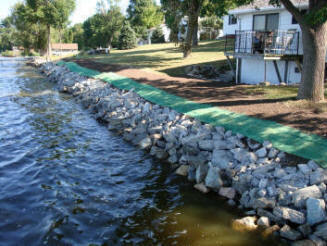 Riprap may be placed by land if possible. 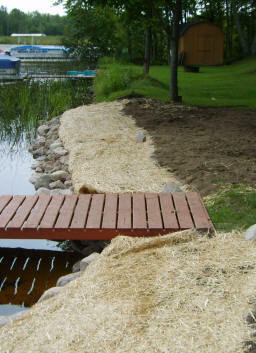 Otherwise, with the use of our mobile barge, we are able to reach your property by water which reduces lawn damage. 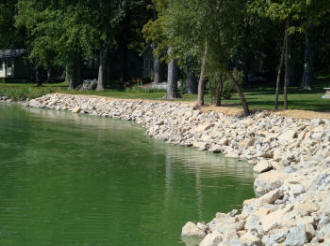 All Work is done to Wisconsin DNR standards. 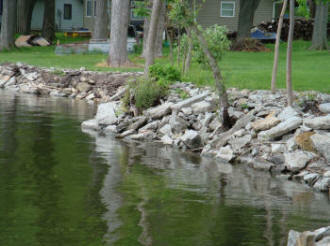 We meet with you to discuss your shoreline & your options. 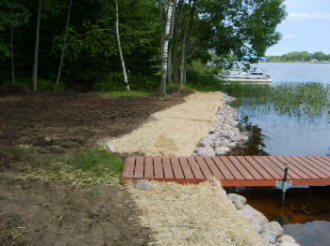 We complete & submit your DNR permit application & take photos. 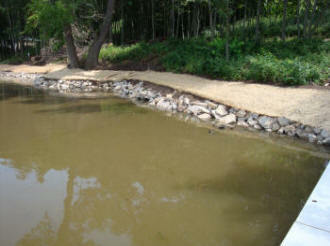 Filter fabric or gravel layer is applied. 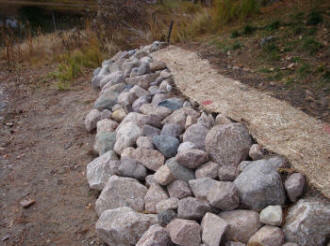 The riprap rock is placed. 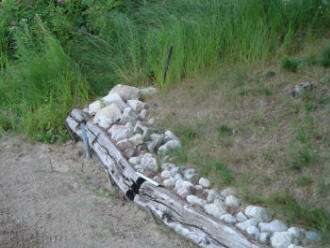 Native grass strip is planted. 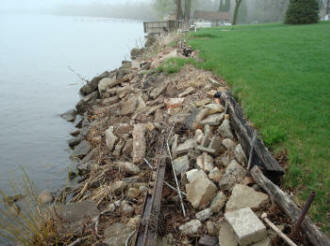 We submit the finish report & required photos to the DNR. 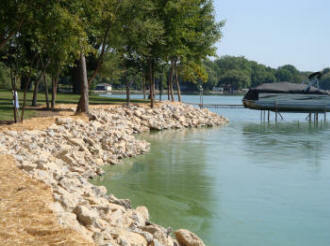 CALL OR EMAIL FOR A FREE ON-SITE EVALUATION!